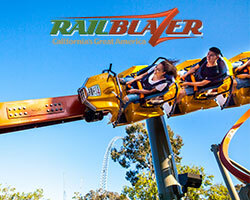 Have some questions about all the fun you can have at Great America? Well, you've come to the right place. Here's a list of some of the most common questions we hear from our guests. Take a look and see if you find what you're looking for. View our calendar of operating dates and hours. Where can I find the best deals on tickets? The best deals on tickets are available through our website! Enjoy unlimited park visits and entrance into Boomerang Bay waterpark all season long with a Season Pass! Can I upgrade my admission ticket to a Season Pass? Apply the value of your ticket toward the purchase of a Silver, Gold or Platinum Season Pass during your visit. Stop by Town Hall, located in Hometown Square, or the Guest Services window at the front gate to upgrade before you leave. California's Great America does not offer a non-rider discount. 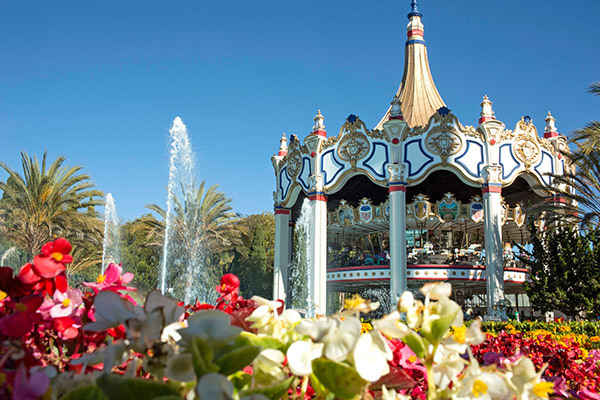 Great America has a one-price admission as it is a multi-faceted park, not just a ride park. The park features live entertainment, PEANUTS characters, a variety of gift shops and dining facilities, plus a 13-acre waterpark and much more! What is your refund policy on daily tickets and Season Passes? Admission tickets and Season Passes are non-refundable and non-exchangeable for any reason after the order transaction is complete at the front gate, online through our website, by phone or when purchased through a third party. This non-refundable ticket policy includes weather-related events. We do not issue rainchecks. Please check local weather conditions prior to planning your visit. 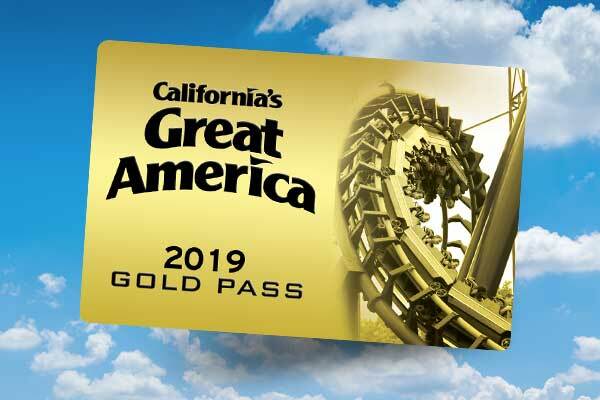 California's Great America offers a discount for seniors (ages 62 and older) and juniors (ages 3 and up, under 48 inches tall) on both general admission and Silver Season Passes. Guests under the age of 3 do not require an admission ticket. Guests three years old and older require an admission ticket to California's Great America. What should I do if I experience an issue printing my tickets online? You can have your tickets printed for you at Guest Services at the front gate. You will need photo I.D., the credit card you used to purchase the e-ticket, and your confirmation number. What happens if I lose or forget my Season Pass? If you forget to bring your Season Pass or you lose your Season Pass, please proceed to Guest Services located at the front gate. A nominal processing fee will be assessed if you lose your Season Pass. May I bring my own food and beverages into the park? No outside food, beverages or coolers are allowed to be brought into California's Great America. However, guests with special dietary needs are permitted to bring outside food and drink. Some attractions may close in inclement weather until conditions permit safe operation. Please enjoy a live show, meal or shopping until such weather passes. California's Great America cannot issue rainchecks or refunds for inclement weather. How do I re-enter the park should I have to leave for some reason? If you wish to leave the park and return on the same day, please have your hand stamped at the front gate. You will need your ticket when you re-enter in addition to your hand stamp. If you wish to leave the parking lot and re-enter, present your parking receipt to the attendant when you return. Re-entry is not permitted during Halloween Haunt. Does Great America have automatic tellers (ATMs)? There are several ATMs located throughout the park for your convenience, including near the main entrance. What information do you have for guests with disabilities? Guests with disabilities may refer to our Guests with Disabilities information page and should stop by Guest Services, located outside the front gate, or Town Hall, located inside the park next to Great America Theater, regarding park and ride accessibility. A limited number of wheelchairs are available for rental on a first come, first served basis at the front gate. A limited number of wheelchairs are available for rent on a first-come, first-served basis at inside the park just inside the front gate. Do you allow pets at Great America? Only guide dogs and service animals are permitted in the park. What is the policy on alcoholic beverages at Great America? Guests must be at least 21 years of age to purchase, possess or consume alcoholic beverages at California’s Great America. Valid state-issued identification or valid driver's license is required for each person purchasing, possessing or consuming alcoholic beverages. Alcoholic beverages are not permitted while in line for any ride. Alcohol service stops one hour prior to closing. What forms of payment does Great America accept? 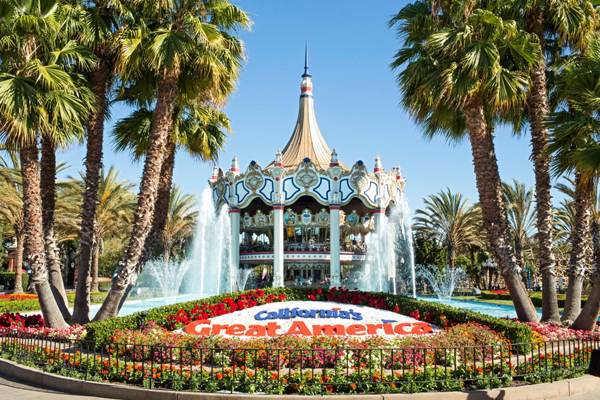 California's Great America accepts cash, credit or debit cards from American Express, MasterCard, Visa and Discover. A valid driver's license must be presented when using a credit card for purchases at the park. For the convenience of all of our guests, smoking of any kind, including vapor and e-cigarettes, is allowed only in designated areas. Please refer to our park map for specific locations during your visit, or ask any park associate for locations of the designated smoking areas. Smoking is not permitted in any theater, ride or waiting area. Lockers are available for rent in different areas of the main park and in Boomerang Bay. Your admission ticket to California's Great America includes all rides, live shows and attractions in operation on the day of your visit. Your ticket also includes admission to Boomerang Bay waterpark. Your admission ticket does not include pay-per-play games or attractions, or special events, including but not limited to Halloween Haunt and concerts. Parking is $25 per vehicle for regular parking ($20 pre-purchased online) and $30 for preferred parking ($25 pre-purchased online). RV parking is $27 per vehicle. A limited number of handicap parking spaces are available near the front gate on a first-come, first-served basis. School and tour buses park for free. A drop-off area is located just past the entrance on Great America Parkway at 4911 Great America Parkway. Are drones permitted in or at Great America? All drones (unmanned aerial systems) are prohibited at (in) all Cedar Fair parks, including California's Great America, and any unauthorized drone observed over California's Great America will be reported to the FAA and local law enforcement, regardless of its point of origin or operation. Drones may pose a potential safety risk and may violate Federal Aviation Administration guidelines. What security procedures are implemented at Great America? Sharp objects (including pocketknives and metal chains), firearms or other items that could be considered a weapon are strictly prohibited and should be left at home or secured in your vehicle. Other prohibited items include speakers, chairs, glass of any kind (except perfume bottles), food (except for special dietary needs), water guns, luggage, prescription drugs (unless in original packaging), weapons, bottled or canned beverages (except sealed bottles of water), hard-side coolers, beach umbrellas, fireworks, scissors, knives and child scooters/wagons. We use a variety of methods in securing our parks, including uniformed and plain-clothed officers and video surveillance monitoring. California's Great America does not tolerate guests who fight and/or harass other guests. People who engage in this behavior are subject to being ejected and potentially banned from the park and may be subject to arrest by local police. What attire is appropriate for the park? Shirts, shorts/pants, and shoes must be worn at all times while at California's Great America. Proper swimming attire for Boomerang Bay is defined as a one- or two-piece swim suits without abrasive buttons, rivets, zippers or snaps. Costumes and face paint are not permitted during Halloween Haunt. What if I require first aid? First Aid is staffed by certified emergency medical technicians (EMT's) at all times. First Aid is located in the red schoolhouse next to 3 Point Challenge, near RailBlazer's first drop. What if I lose an item during my visit? Should you lose an article during your visit, please check with Lost and Found, located at Guest Services, or submit a request through our online Lost and Found service. If you wish to leave the park and return on the same day, please have your hand stamped at the front gate. You will need your ticket when you re-enter in addition to your hand stamp. If you wish to leave the parking lot and re-enter, present your parking receipt to the attendant when you return. No re-entry is permitted during Halloween Haunt. Where can I pick up or drop off a guest? You can pick up or drop off guests in our passenger drop-off area just past the entrance to the California's Great America parking lot entrance. This area's street address is 4911 Great America Parkway, Santa Clara, CA 95054.